Established in 2003, the IMSGC brings together researchers from 30 institutions in 18 countries that study the genetics of MS. Through the combinations of data from multiple genome-wide association studies, the consortium was able to assemble genomic data from 47,351 individuals diagnosed with MS and 68,284 healthy controls. 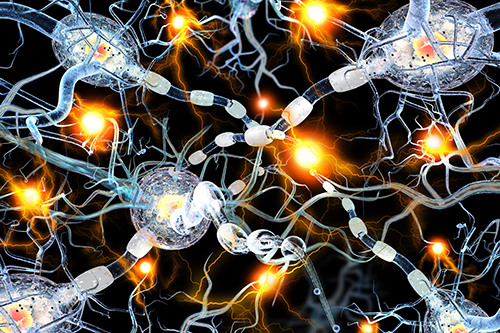 The researchers compared the genomes of individuals with and without MS, identifying 200 variants that were significantly more widespread among those with the disease. A majority of these variants implicate genes that are associated with immune cells and immune system function, including a few potentially specific to brain-related functions. Remarkably, many of the genes identified were also known to be involved in other autoimmune diseases, such as rheumatoid arthritis, type I diabetes, and ulcerative colitis—raising intriguing questions about why these diseases target different organs and have different clinical manifestations.